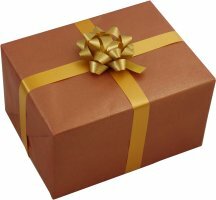 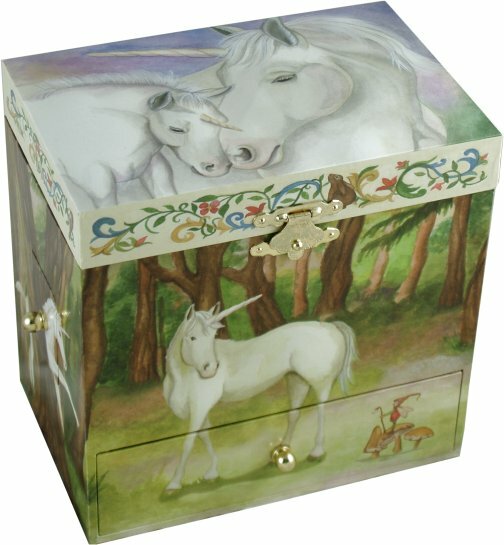 A magical mythical music box decorated with unicorns in the enchanted forest. 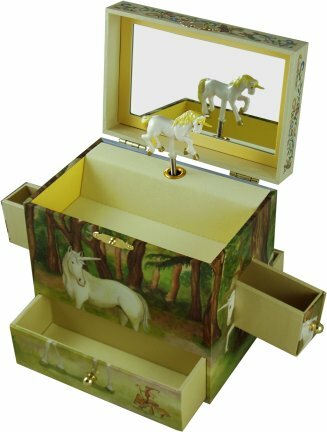 This music box has four tiny drawers for secret storage - one on each side of the box, front & back. 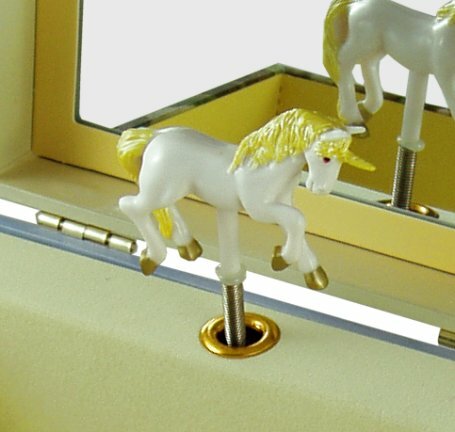 Open to hear the music play and watch the unicorn turn in the mirror.